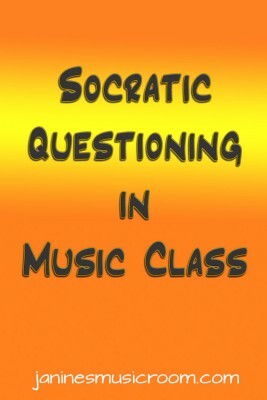 Socratic questioning provides a framework for answering big questions, but the techniques can and should be used in smaller contexts as well. This way we are modeling strong inquiry strategies for our students. 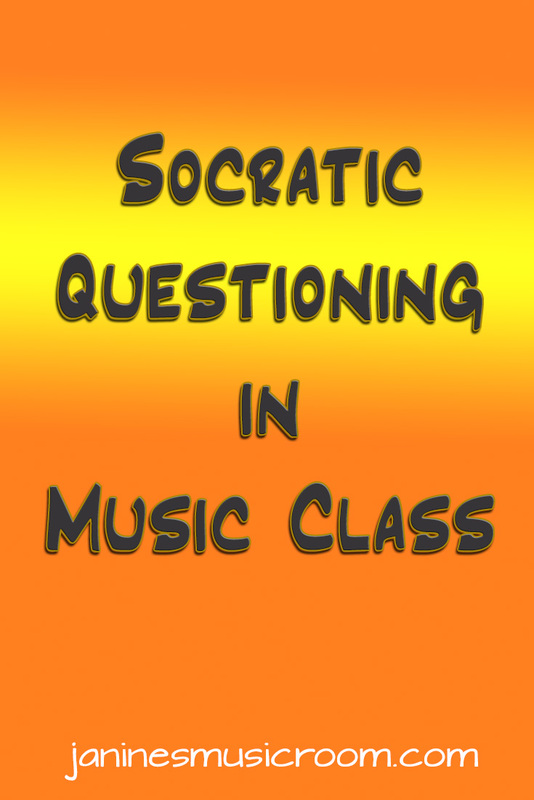 We can even use the methods as a way of explicitly teaching students how to ask good questions. As we guide students to start asking their own questions, they can use this framework to improve their own capacity for deeper inquiry. I’ve used these techniques to help children understand the use of cyclic patterns, traditional Western notation, graphic notation, discover rhythms, and make connections between music and its purposes. The questions you use will come from your own essential questions and the inquiries you have planned for your students, but here are some examples that may get you started. What do we already know about notation? How do the lyrics relate to what we have been studying? What is the nature of these musical patterns? How could we verify or disprove you assumption? How would you explain why you’ve notated it this way? What would happen if we used a different kind of music for that celebration? How do you know this is a lullaby? Why is this pattern being used that way? What evidence is there to support your interpretation? Who benefits from this [protest] music? How are these notation systems similar? What would someone within that culture say about the significance of this song? How does this variation affect the repetition of the musical pattern? How does this connect to a notation system we already know? Why is it important to understand the role of music in this ritual? Why do you think I asked about the social context? Which of your questions has helped you to understand they symbolism in the lyrics? Then, of course, we can always be asking, “Why?” Keep digging. Keep making connections. If the students get stumped, ask in a different way. It takes some practice to be able to come up with the questions on the spot, so don’t be afraid to think it through and anticipate the direction of your class discussion. List some possible questions ahead of time. Your students will thank you for it!